Do you want giggles galore and goofball fun at your upcoming party? 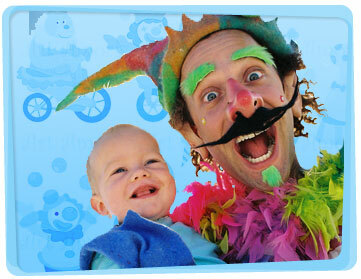 Our clowns for hire are the ideal choice for all ages two and a half years and up. 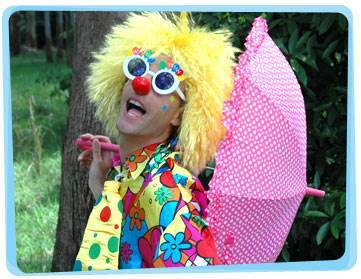 If you’d like to hire a clown for a kids party or some other event, Yabadoo has some of the most experienced party clowns for hire in Brisbane. Our kids party clowns are hilariously entertaining and are sure to make your party a success – so why not have your guests on the floor in hysterics with a hilarious comic magic show, a treasure hunt, games (such as pass the parcel), face painting, balloon sculpting and more. The birthday child will receive a unique modelled balloon to make them feel special during the magic show. Our clowns for hire in Brisbane have spread joy and delight at thousands of children’s birthday parties, including a host of other events, from stage magic shows to hospital functions, corporate events and everything in between.